We are so busy during the week with work and school, and then after school kid activities and my husband’s work activities. There are nights I just don’t want to cook, but with a family of 5 eating out can be so expensive. Because of this, I’ve recently been working on my “dinner in less than 30 minutes” meals, and I have a couple I’d love to share with you. To help me plan quick meals, I’ve been working on a weekly menu planning. With my plan, I create my grocery list. When I went grocery shopping last week, there were two of my meals that were one dish casseroles. One required soup and the other required salsa. Instead, I decided to try Campbell’s Soups for Easy Cooking for both. I easily found them at Walmart next to the condensed Campbell’s soups. These are a little different as they come in a carton and you don’t need to add water. Originally, I was going to use Cream of Chicken, but I picked up Creamy Herb & Garlic with Chicken Stock to add to my Chicken Noodle Casserole. For my 10-layer Mexican casserole, I usually use salsa or enchilada sauce, but this time I picked up the Mexican Style Tomato. 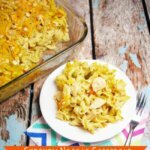 Chicken Noodle Casserole is an incredibly easy dish to make. After cooking the noodles, you’ll combine the veggies and chicken with them. Then, sprinkle breadcrumbs and cheese and bake for 15 minutes. You’re ready to eat in just about 20 minutes! My preschooler loves the egg noodles and devoured them. This is a great dish to make ahead of time. It reheats really well. I’ve sent it to work with Nate and to school with my teenager a couple times this week for lunch. Make dinner in less than 30 minutes with this quick and easy casserole. 8 oz meat – shredded chicken, turkey, taco meat, etc. In a casserole dish combine noodles, chicken, and vegetables. Stir until combined. Pour the soup and chicken stock into the noodles. Stir until well combined. Allow to cool for a few minutes and then serve. Begin layering with Skillet Queso topped with tortilla chips. Then, layer the rice, beans, meat in any order. Just add layers of the tomato soup, skillet queso, and crushed tortillas between the layers as you go. Top the casserole with the last of the crushed tortilla, the last of the tomato soup, and a sprinkling of cheddar cheese. It’s easy to make homemade meals even during a busy week night by using Campbell’s Soups for Easy Cooking. Try reinventing one of your recipes using the Soups for Easy Cooking to make a quick meal. in less than 30 minutes. You can be making weekend meals on a weeknight schedule! 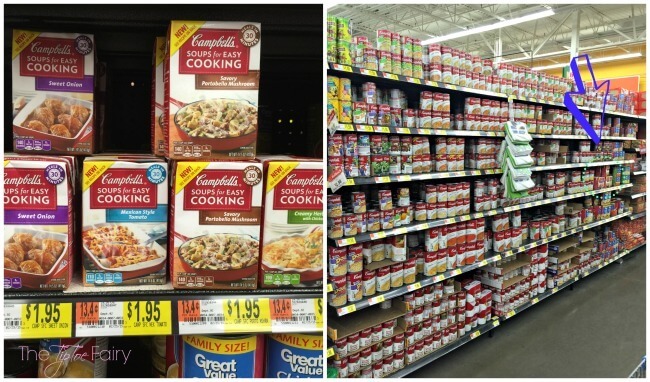 Click HERE to get a $0.75 coupon on Walmart.com for Campbell’s Soups for Easy Cooking!. 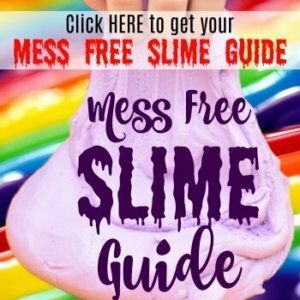 The coupon is valid for one month. What’s your favorite one dish meal? I’d really like to try both of these recipes. I think I’ll try the chicken noodle casserole first. 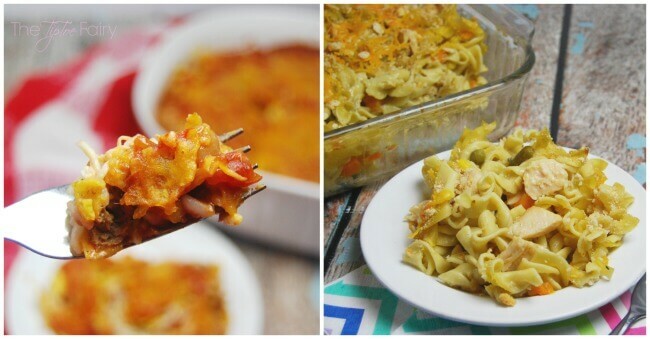 I sometimes make a tuna noodle casserole something similar to it and we love it so I know your chicken noodle casserole will be a hit as well. That is a great mexican casserole. I will try that. I love a nice pasta bake in the oven like this, I do it all the time and it leaves everyone happy! These 10 layer dish sounds right up my alley. I might have to give it a try. I love easy prep and cook meals. These look really yummy! I like that they’re very easy to make. Thanks for sharing the recipes! A 10-layer Mexican Casserole sounds amazing. I love how fast it is to make too. Looks like some yummy dishes! I’m always looking for quick meals. I can’t wait to try this! I have read the options and they look great. Love quick meals, and I’m adding this one to my menu planning! One dish meals make me smile, work smarter not harder! I love when cooking is so easy. 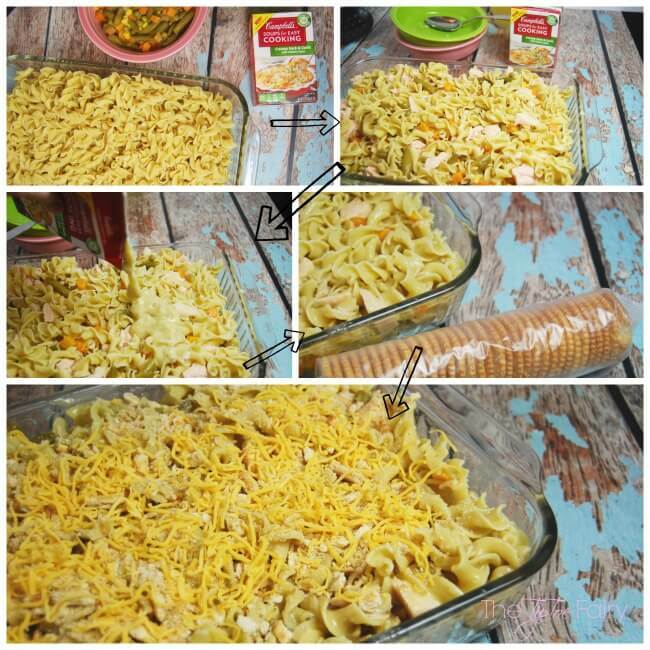 The chicken noodle casserole looks so good and I am going to have to make this dish indeed. Thanks for sharing. OK, this sounds SO fabulous. 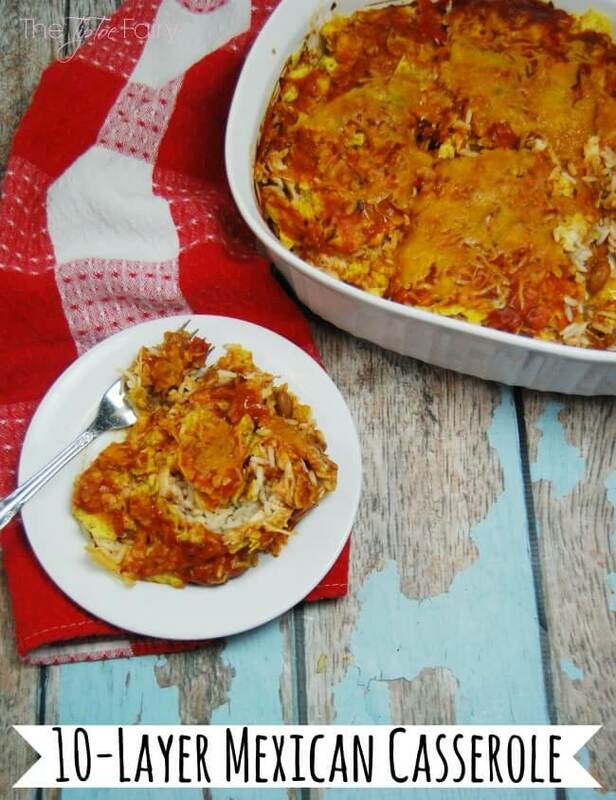 I’m such a fan of chicken noodle soup and Mexican food, so having casserole options for both sounds stellar! Who doesn’t leave easy meals?! i don’t make enough casseroles! These sound awesome!